Hi friends, can you believe it's March already? 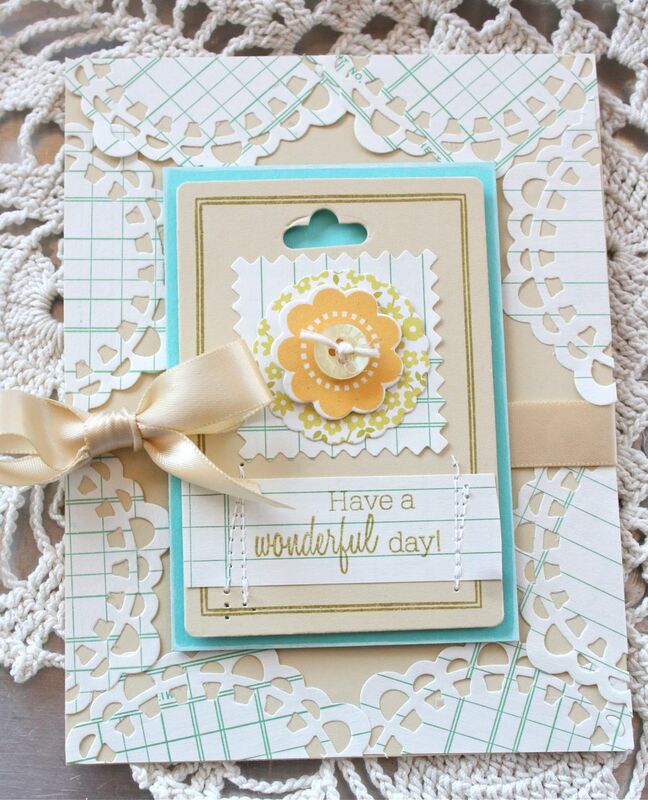 Today the Papertrey Senior Team is revisiting a previously released set called Wedding Day. It's full of elegant, script sentiments and scrolled images. I have two cards for you today....one formal wedding card and also a more whimsical every day type card. For both of my cards I used Pretty Pastels patterned paper, the Parisian Lace doily die, White Shimmer cardstock, butterfly dies, Clearly Creative Cardstock and Fillable Frames #4 stamp set (second card) and coordinating die + Fillable Frames #1 stamp (for first card)...oh, and gold embossing powder. First up is the wedding card. 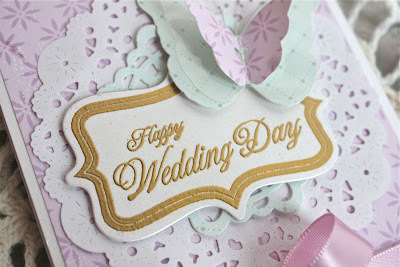 To me, there is nothing that fancies up a card more than embossing powder. I cut my Fillable Frame #4, then embossed the frame stamp and sentiments. 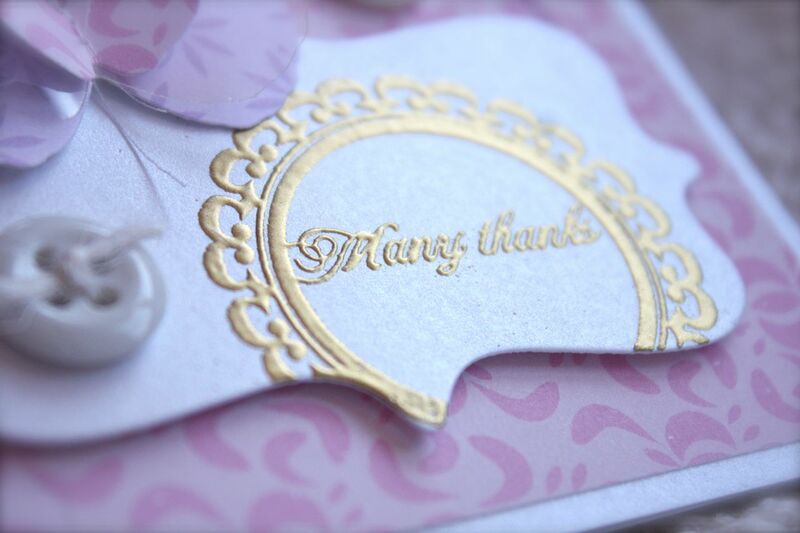 The raised, gold embossing looks so pretty on the shimmery white cardstock. And when paired with the Fillable Frames dies and stamps, it almost looks like a store bought sticker embellishment. 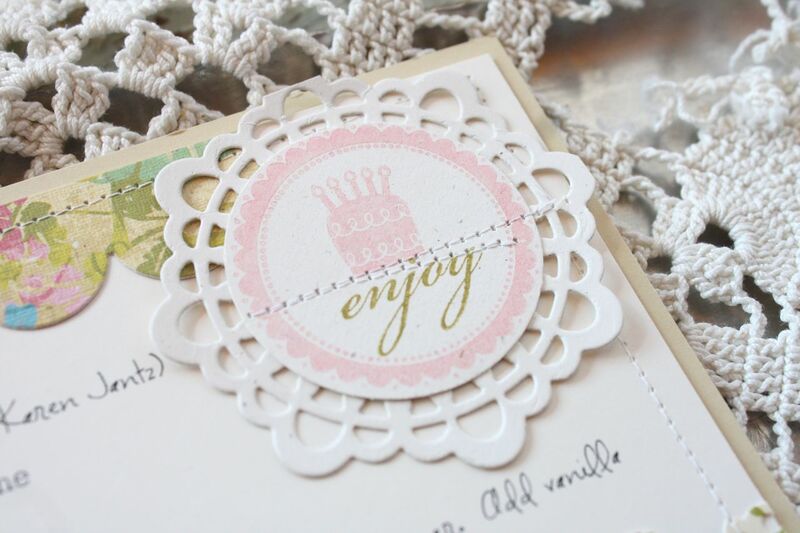 The Parisian Lace doily die in the background adds some frill to the card. 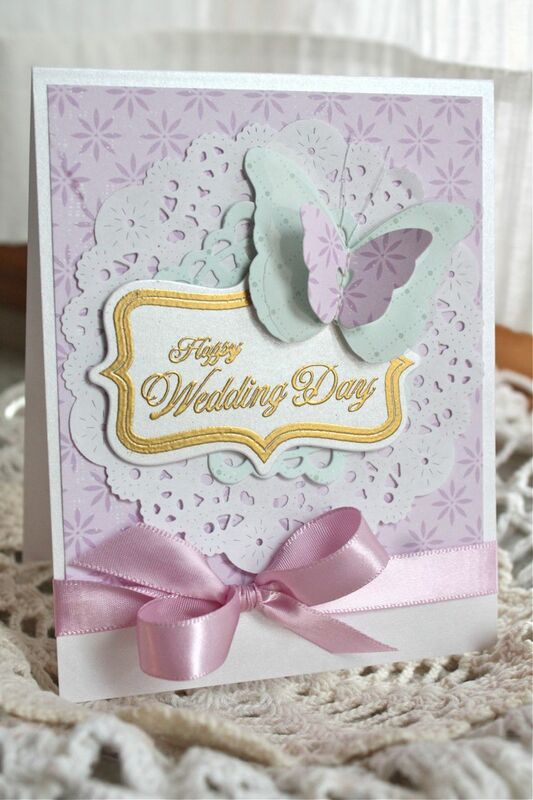 I've been loving the butterflies lately so I did some experimenting with our Creatively Clear Cardstock. It cuts like a dream with our dies. 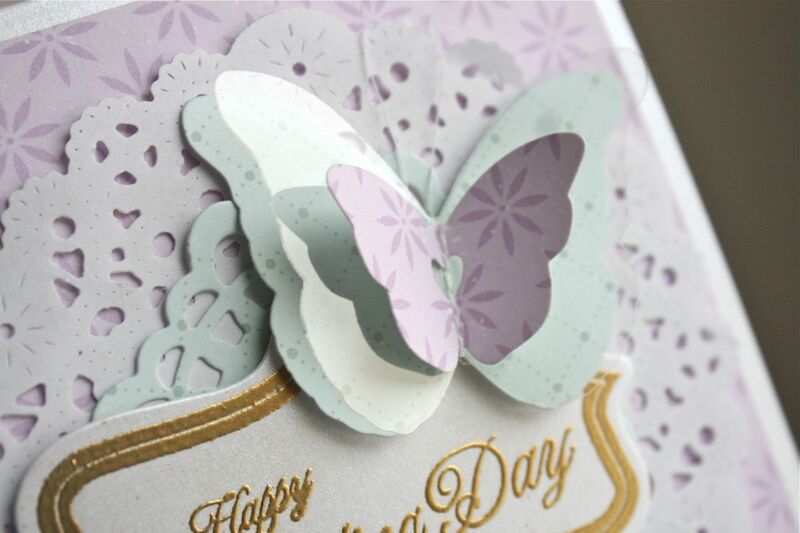 I used a bottom patterned paper butterfly, then the clear cardstock, then a smaller butterfly from the Love Lives Here collection. I stitched through all the layers easily with my sewing machine. By leaving the threads long, I created butterfly antennas with the little snippets of thread. A satin ribbon finishes off the card front. 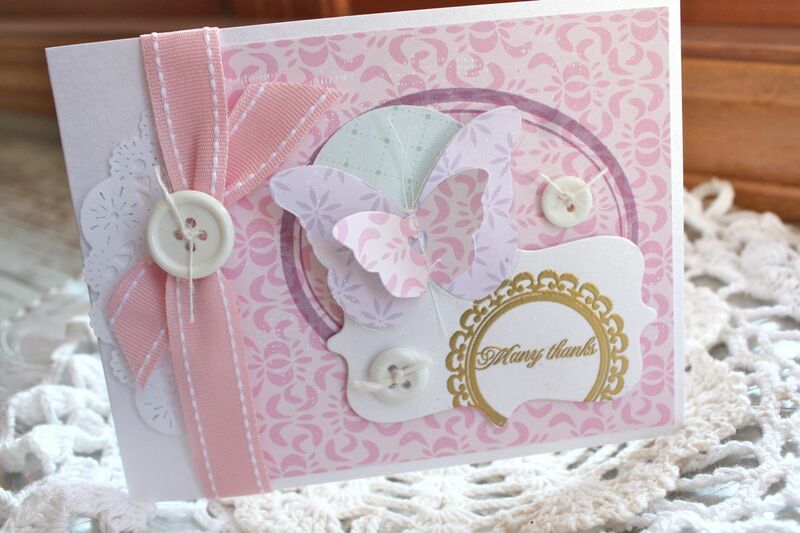 A very pretty card to give to a happy little couple just starting their journey in life. Next up I used the same paper line and stamps but just switched out a few of the colors and elements. 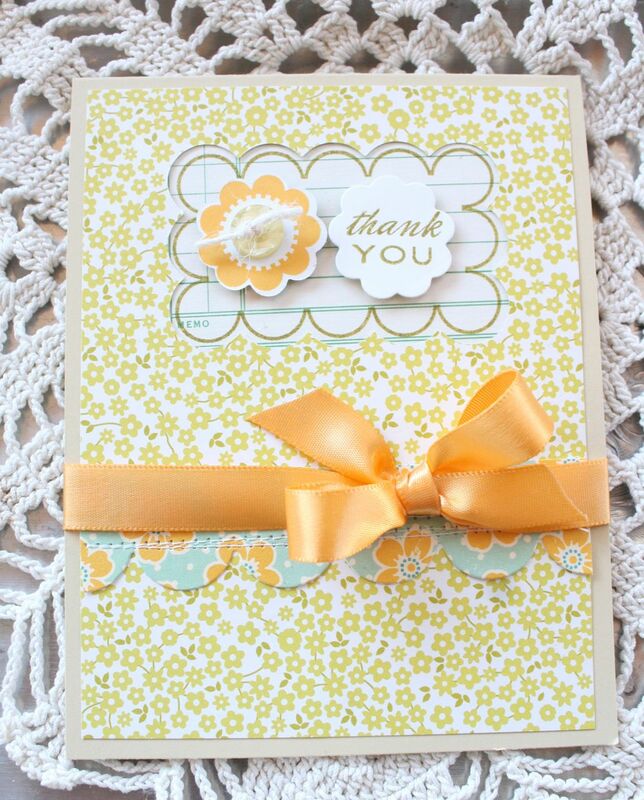 I used the *many thanks* image and a decorative circle stamp from Wedding Day to create a more whimsical, every day greeting card. I love it when stamp sets are versatile like that. Again, the gold embossing looks very pretty when stamped on a Fillable Frame cut from the White Shimmer cardstock. 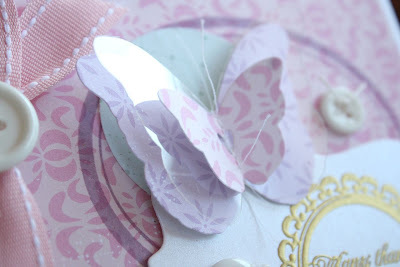 I made another butterfly embellishment using the same technique as above. So pretty to fluff up the wings and see those shiny clear wings peeking through. The oval circle is from Wedding Day also, stamped with Plum Pudding ink. 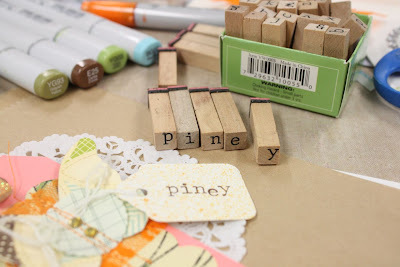 If you'll take a look at the buttons on my card, I used Pine's tip from her Make It Monday video this week.....scatter buttons in a visual triangle to lead the eye around the card. To tie the button around the thick Saddle Stitch ribbon, I did not tie a knot in the ribbon. I simply overlapped the ribbon and then secured it with the button twine that I threaded through the button holes and around the ribbon. This really eliminates the bulky knot of a tied ribbon. 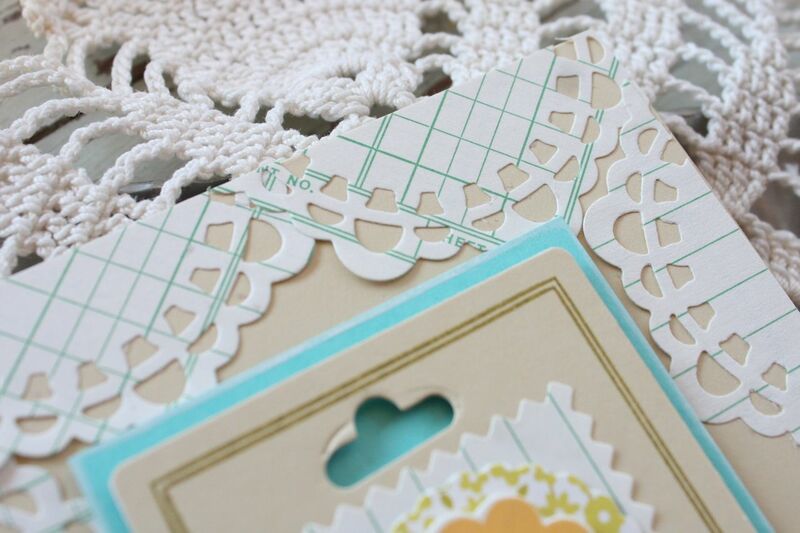 A little snippet of a Parisian Lace doily sticks out from under the ribbon. It was so fun to revisit one of the older Papertrey sets. I heard a caller ask a question this week as to whether we use our older stamps. I know I do...I keep all of my sets and mix and match them up quite frequently. We all know it's fun to rip into our new packages but why not set out 1-2 older sets from our stash a month? It's a good way to challenge ourselves to use more of our goodies. Maybe I'll even start setting out older sets On The Shelf occasionally. Scrip font=Becky Higgins and Typewriter font =Acoustic Light. Happy Sunday friends. Hope you've had a wonderful weekend. Today I have another project to share from the February Papertrey release. 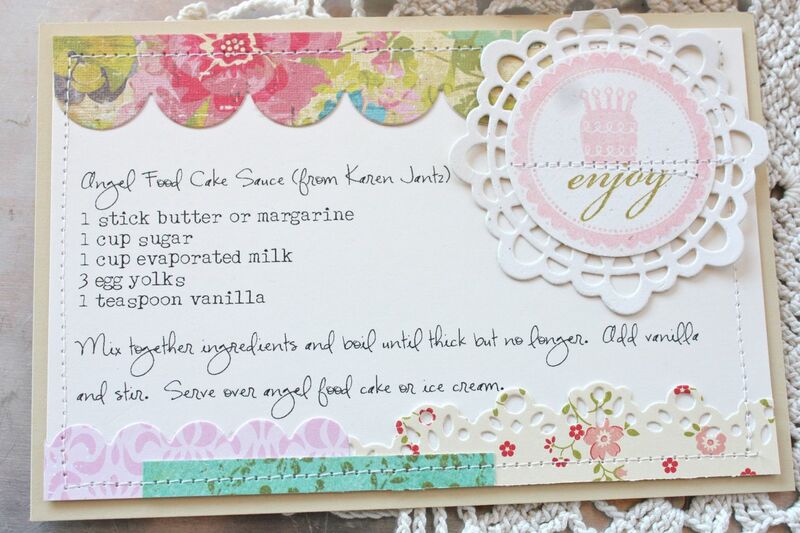 I created a recipe card using Pine's new Tag-its #1 stamp set. I stitched on my stamped circle and then layered it onto a doily die. 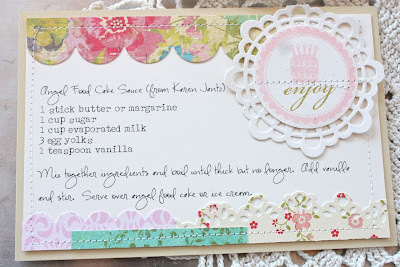 For most of my recipe cards I just grab little snippets and scraps from my little scrap basket. A little machine stitching and I've got a cute little recipe card. Enjoy! Happy weekend to you, my friends. 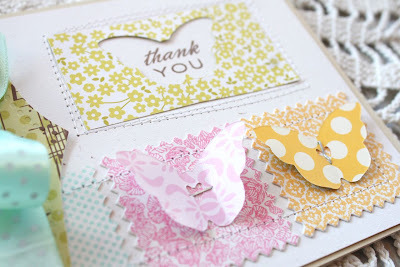 Today I have a project to share with you from the February Papertrey release. Using ledger paper from my stash and the Doily Details die collection, I created a frilly doily border around my card base. The cute little flower detail was created with the Flower Fusion #1 stamp set and coordinating die. 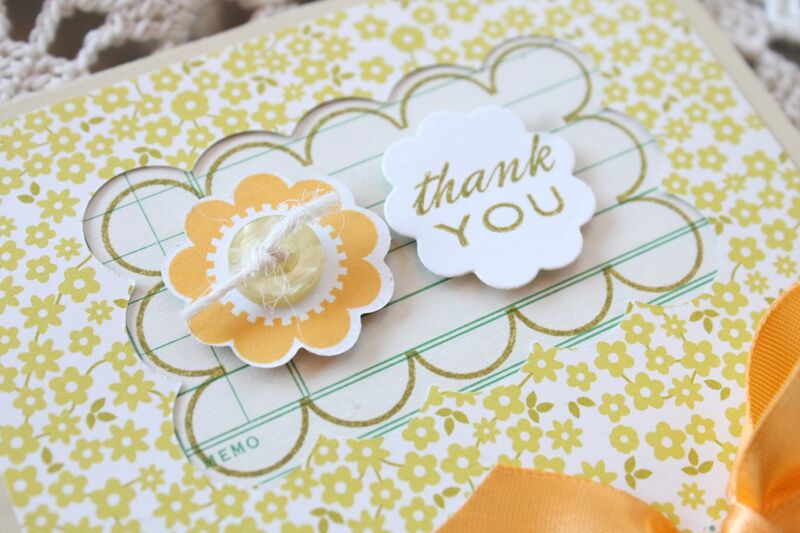 A Lemon Tart button was tied with twine and placed in the center. A punched piece of patterned paper is under that with a pinked square die cut from the Button Boutique die collection under that. The little hang tag die also comes from the Button Boutique collection. The focal point rectangle was cut from the Button Boutique die collection as well with the frame image stamped on with Ripe Avocado ink. 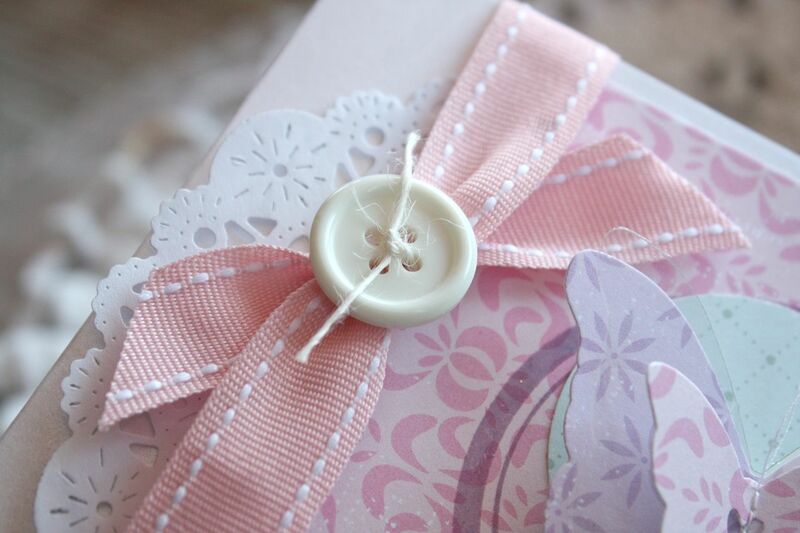 My card base uses Fine Linen, a fun new neutral to try out along with the coordinating satin ribbon. As my card reads, I hope you have a wonderful day! 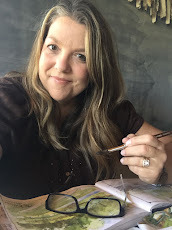 The family will be gone on outings til this afternoon so I have a few things planned: making taco soup with all the fixin's and hot cornbread, stamping some PTI projects, working on my Project Life album...and spring cleaning my craft room for a big household project we have coming up. What's on your list for today? Words are powerful things. They tell stories of our lives when we look at our scrapbook pages. They take us to a far away places when we read a good book. They cut like a knife when used against us in hurtful ways. They make us smile when we read a handwritten note from a friend. To me, there is something so special about sending and receiving cards from friends. We can email, Facebook, text and twitter but it's not the same as getting a card in the mail with wonderful words from a friend. Today I took some time to make some special cards for some special people. Knowing that I make others feel good makes me feel good inside. In my last post, I made these embellished sacks to have handy in my stash. 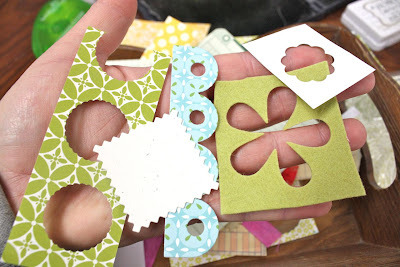 I love to use them for thicker cards that have raised embellishments....or embellishments that hang over the edge of the card and won't fit into a regular envelope. Such is the case with the cards I made today. They both raised embellishments that hang off the card. 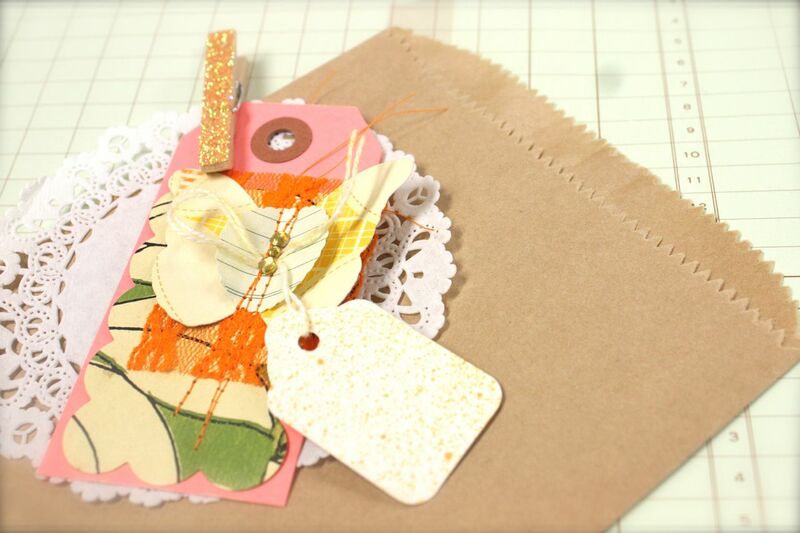 I'll be using a few of my gift sacks to package up my cards at the end of my post. 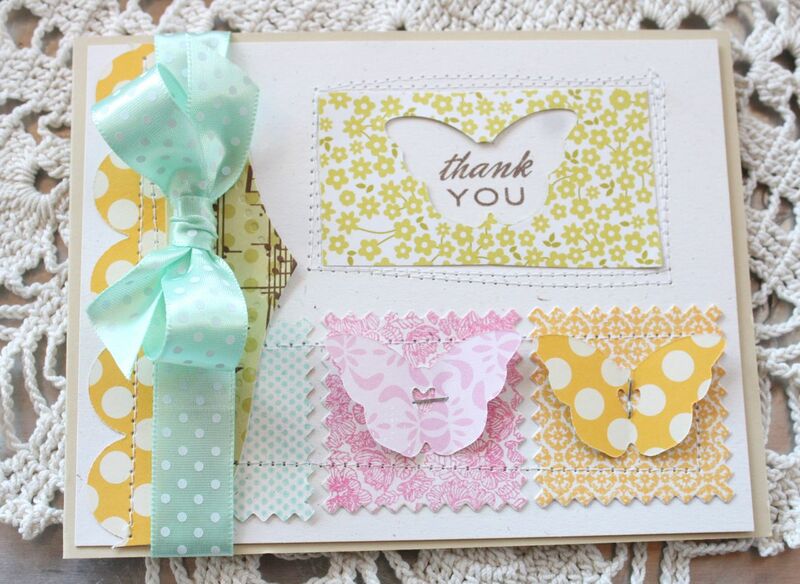 I knew that I wanted to make cards of encouragement today + I wanted to use more butterflies like I did on my embellished sacks. Lisa Johnson's set Flutterby Friend was just perfect. 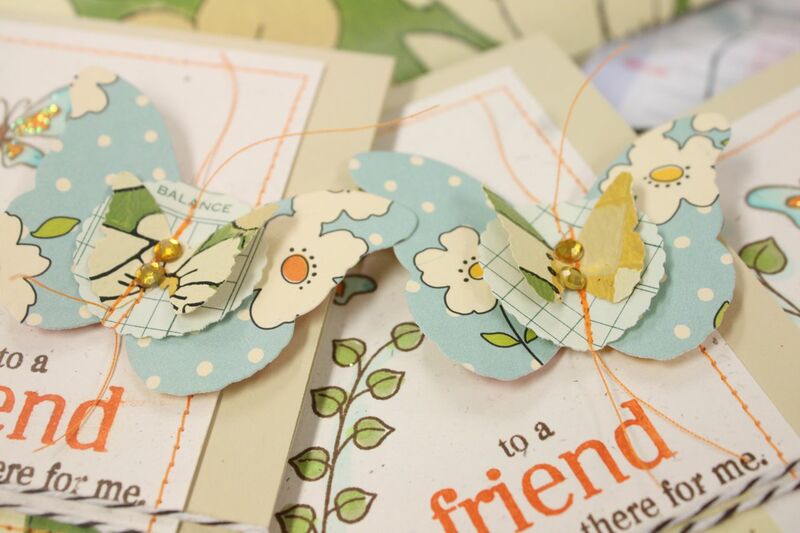 The butterflies coordinated with my dimensional embellishments and the sentiments were just what I was looking for. 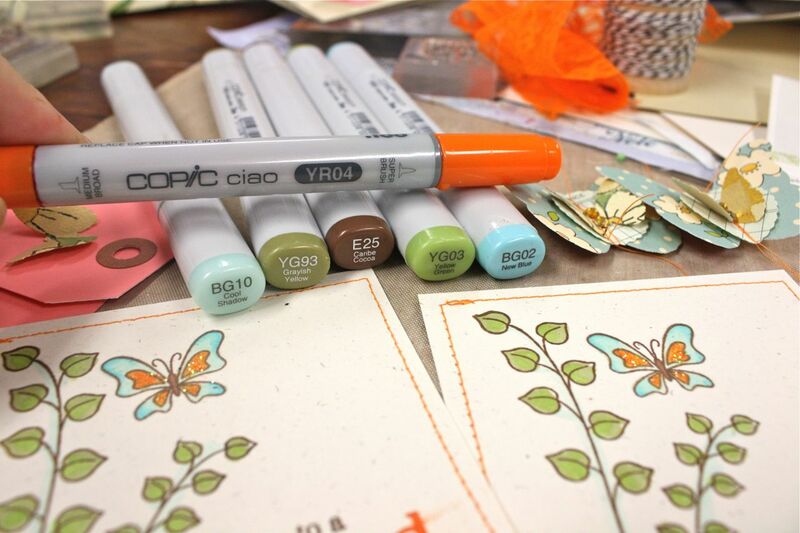 I stamped my images and colored them with the Copic markers shown below. Orange was my accent color for the day so I added orange glitter to the little butterflies and stitched around my focal piece with orange thread. So fun to get out my Copics and just color today. 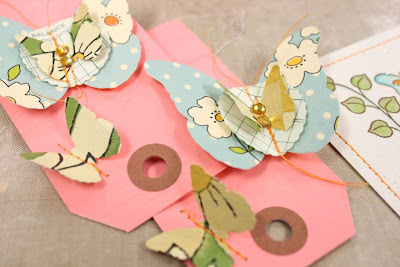 I also created some dimensional butterflies by stitching together layers of punched butterflies and a scalloped circle. By leaving the threads long I created tails and antennas for the butterflies. Colored rhinestones finish off the butterflies. I also stitched a few small butterflies to Pink Parcel Tags so that my card would have a grouping of three butterflies. Here I'm using Chocolate Baker's Twine to finish off my card. 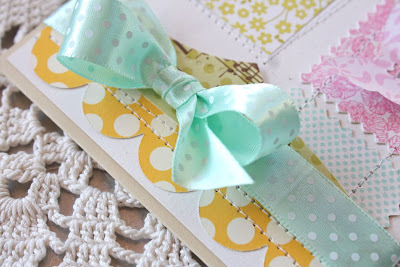 I like to use the twine in place of ribbon sometimes when I want a lighter feel to my cards. I tucked a snippet of lace from the thrift shop over the twine before tying a bow. This adds another accent of orange to my cards. 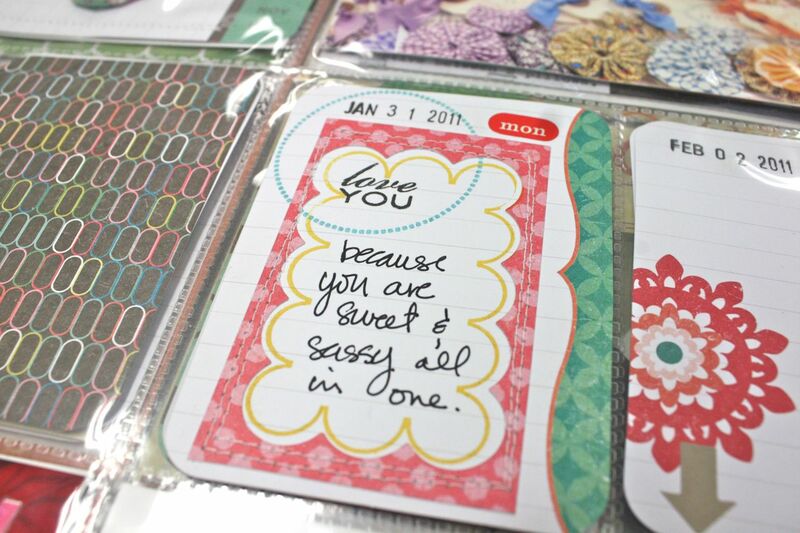 Nothing better than a little stack of cards, especially when they were created with someone special in mind. For the base of my cards I used Fine Linen cardstock. A soft color that I love to use as a neutral lately. The butterflies were made from the Signature Series: Butterfly die, then a Martha Stewart scalloped circle punch then a Martha Stewart small butterfly punch on top. You can see the butterfly tails and antennas that were created by leaving the threads long. Love that whimsical feel. 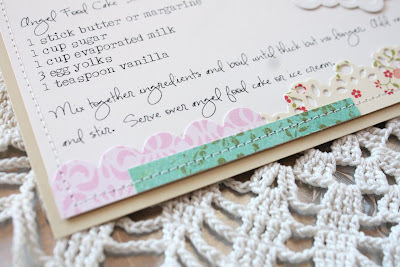 At the bottom of my cards you can see the stitched layers, including some vintage wallpaper that I cut with a PTI scalloped border die. 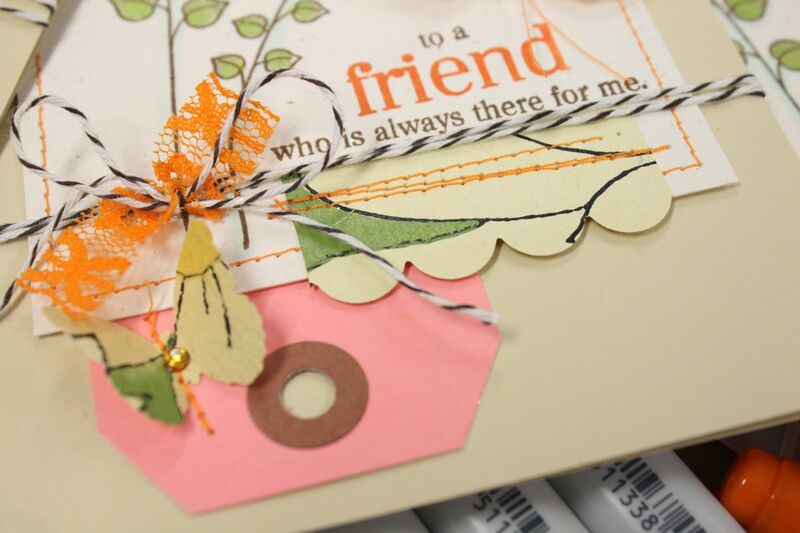 On the inside of my cards I typed a note to my friends then added more machine stitching at the bottom. 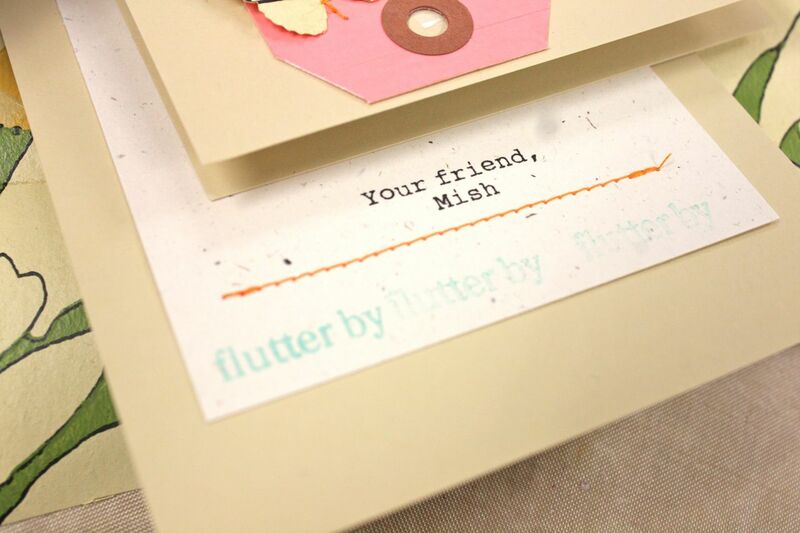 The words *flutter by* from the Flutterby Friend set were stamped along the bottom. I stamped the image three times without re-inking the image to create a faded out look. If you'll remember on my embellished sacks, I sprayed some White Tags to use as little name tags. I used one of my alphabet sets to personalize the name tags with my friends' names. I love how personal this makes a gift or card. 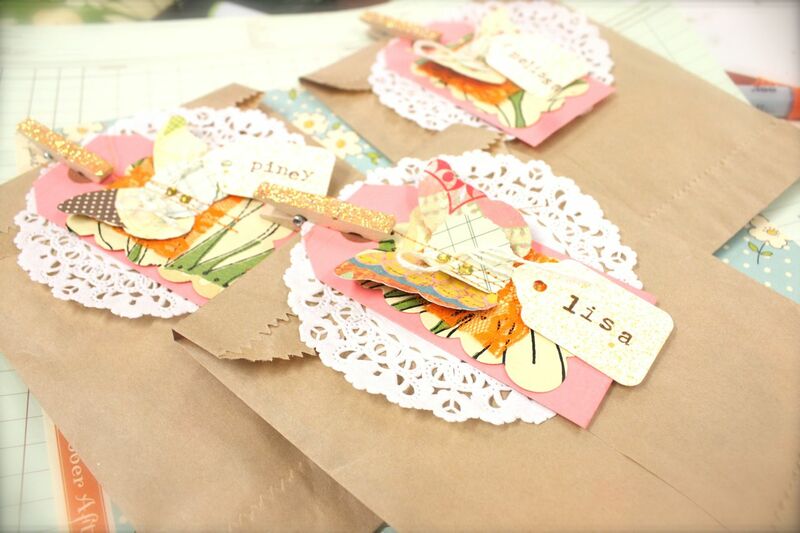 I tucked my finished cards inside the brown paper sacks, then added the glittered clothespins and dainty doilies and my completed tags from yesterday. A fun little bundle of mail to send out for sure. I tuck these inside bubble mailers for mailing. How about you? Have you sent out some encouraging words lately? Happy President's Day everyone! If you get a day off from work or school today, I hope you have fun! Today I wanted to share a project I made using some of my vintage wall paper, one of my on the shelf items. I had questions as to where I got my vintage wall paper. You can find it various places like thrift stores and auctions if you're lucky. I had to search for mine online. Prints that date back before the 70's can be quite pricey though so be prepared to pay $20 for more recent patterns and up to $30, $50 or more for the earlier designs. They are sold by the roll or double roll. The texture of the paper is quite thick because these old rolls were sometimes pre-pasted, meaning the glue was already slathered on the back. 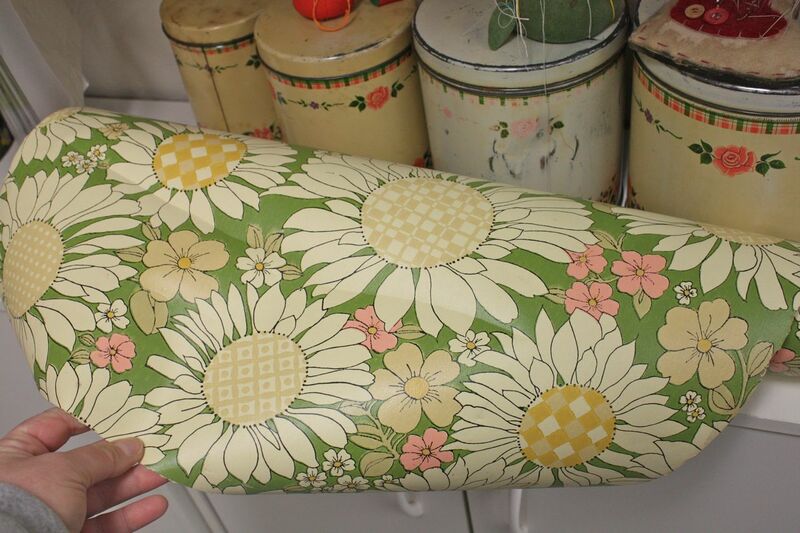 I couldn't resist the fun colors and floral pattern on this roll. So on to a fun little project. 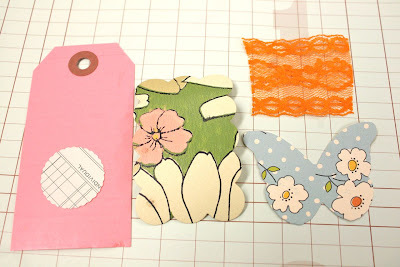 Tags are always a fun item to create because they're small and just fun to experiment with. 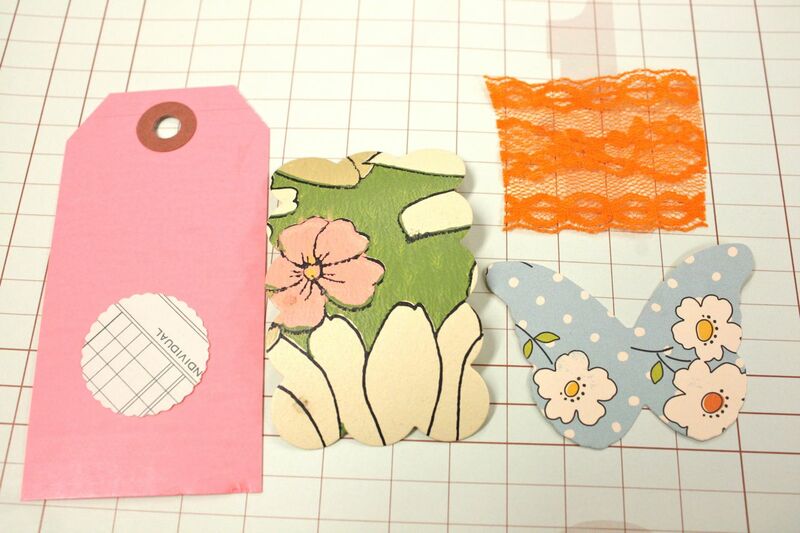 Today I'm using a Medium Pink Parcel Tag, a snippet of old orange lace, a punched piece of ledger paper, a butterfly die cut with a Papertrey butterfly die (October Afternoon patterned paper) and a piece of the wall paper die cut with a Papertrey Fillable Frame die. 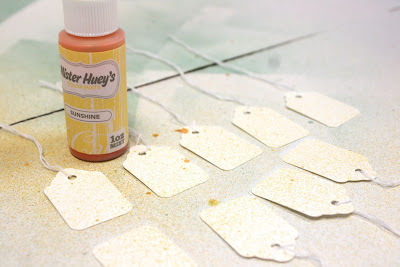 Next up I took some White Tags and misted them lightly with Studio Calico Mister Huey's Sunshine mist (which dries super fast). I ended up making about 10 sets of my project today so I misted a bunch of the tags. When using the misters, you'll need to hold them well over a foot away if you want a light coloring. I keep a large folded piece of cardboard in my craft room to catch the overflow spray. Next it's time to assemble the tags. I gathered up all my little pieces and just layered them onto my tag. I'm not using adhesive at all today. Instead I've opted to sew all of the pieces down. 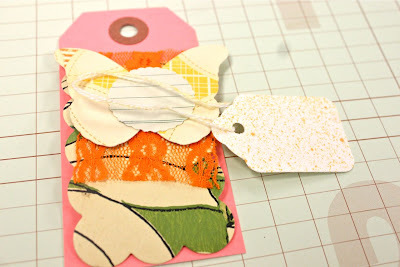 By creatively layering all the pieces, I can secure each one to my tag easily. Notice how I doubled the string of the sprayed tag and placed it over my other layered pieces. By stitching back and forth over the center of my pieces, I caught a little snippet of each element including the strings of the tag. 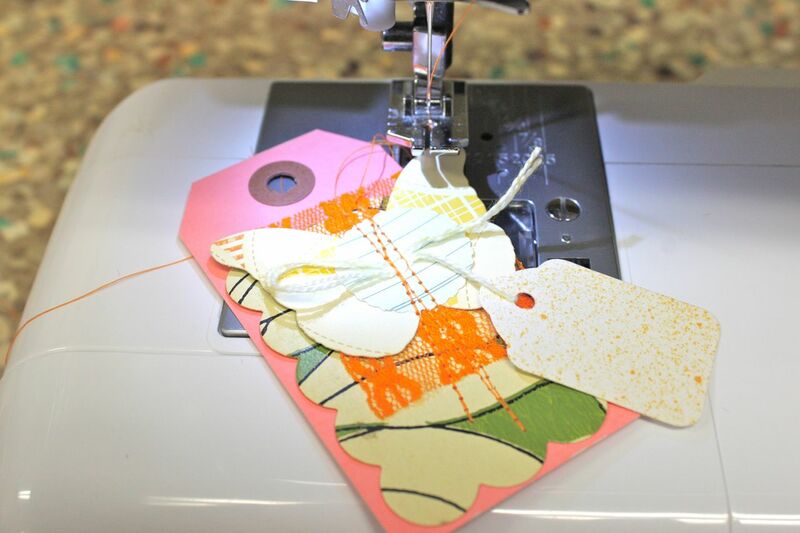 Each piece is secured within the machine stitching. 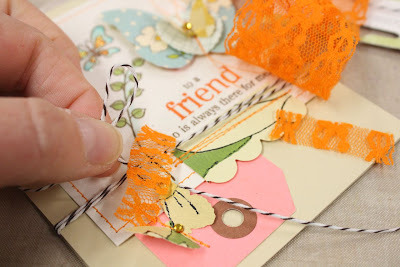 Since I wanted to bring out the orange of my lace, I used orange thread which was also an on the shelf item. 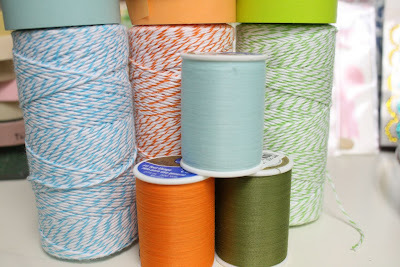 My goal is to collect lots of thread colors and get teamed up with a matching bobbin full of the same color. Very easy to switch out thread colors just like you would inks, papers, etc. Another tip: When snipping threads, I like to leave them long sometimes to create a little whimsy...looks especially good with butterflies. Next it was time to add a few accents to my stitched tags. I covered Small Clothespins with strips of 1/4" Scor-Tape and trimmed with my scissors. Peeled off the tape and dipped in orange glitter for some shimmery clips. I also used some Papertrey clear rhinestones and colored them with a Copic marker. 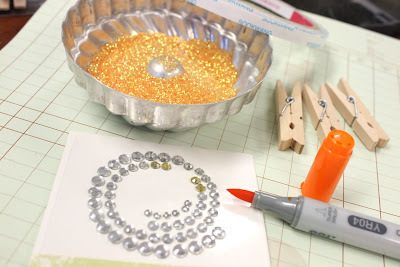 Easy way to custom color the rhinestones to match your projects. I finished up the accents for my tag and then pulled out some Brown Paper Sacks and Dainty Doilies. 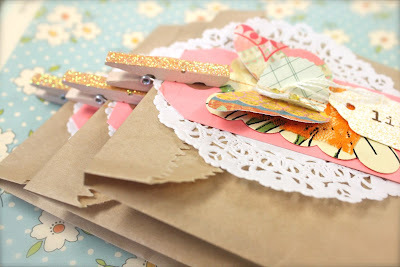 I now have some cute little gift sacks tucked away in stash. To use, I'll simply tuck the cards or goodies inside, fold over the top...and clip on the tag and doily with the glittered clothespin. 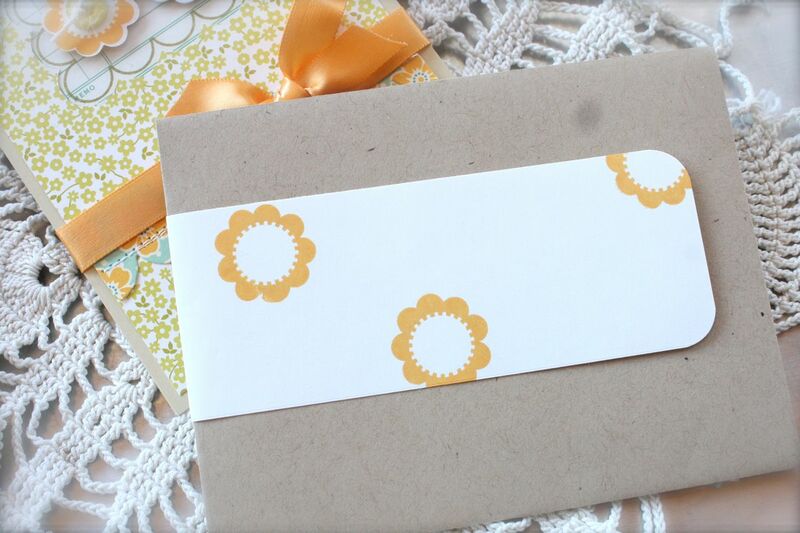 I can stamp or write the recipient's name on the sprayed tag. 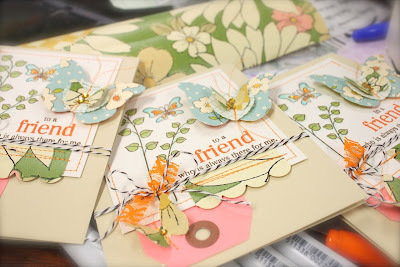 When ready to give the gift, I like to pop up the butterfly wings and other tag elements to create some dimension. I love having little gift bags like this on hand. 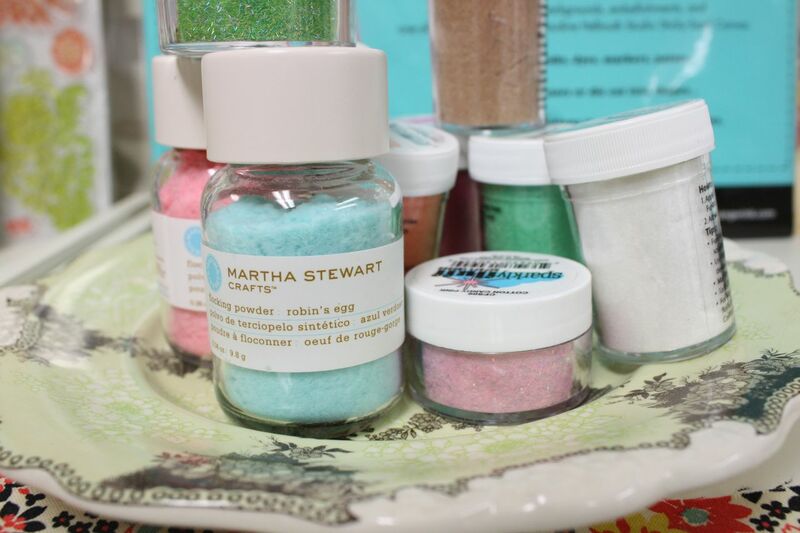 What can put in the embellished sacks? 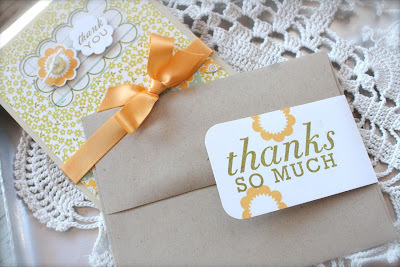 My favorite gifty item is hand stamped cards, of course. You can also tuck in crafty supplies, fat quarters of fabric for your sewing friends, candies or baked treats.....CD's or Itunes cards for teenagers....embellished notepads with markers....hair accessories or little cars for the kiddos.....small books.....you name it! I recently gave a sack similar to this one to my neighbor with small bottles of facial items and lotions. She loved that I hand stamped her name on the tag. Hope you enjoy. I kept on making these so I think I'll have a few extra for the shop today too. :) Have a great day everyone! P.S.....someone asked in a comment about my Project Life...I'll be sharing my most recent additions soon. In the meantime you can check out my other Project Life posts for 2011 here. Hey friends. Hope your weekend is off to a great start! Thanks for stopping by today, I always enjoy your company and nice comments. I really appreciate you guys. Today I'm sharing what's on the shelf. Products that I want to work with, experiment with...get artsy with....so up on the shelf they go. It's a nice way to remind myself of what products I have in my stash. If you'd like to see previous on the shelf posts, click on the label at the bottom of this post and they'll all show up. 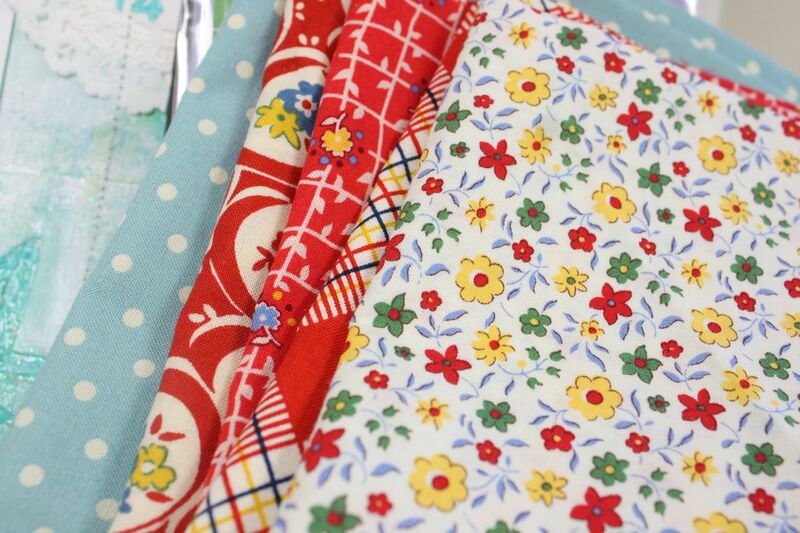 new threads: Since I've moved my nicer sewing machine into my craft studio I've been sewing on everything. I picked up a few of my favorite colors to change out every so often. 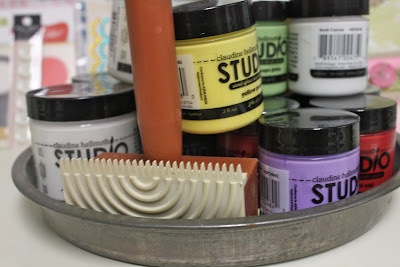 studio paints from claudine hellmuth: Keeping these on the shelf from last time as I didn't get to use this fun tool yet. 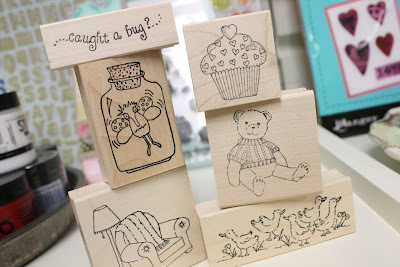 Lockhart stamps: A few new goodies arrived in the mail from Karen. :) Love that bug in the jar. I feel some Copic coloring coming on. flock: Fun, fluffy stuff that I haven't experimented much with. I have a few ideas so we'll see if they turn out like I'm thinking. 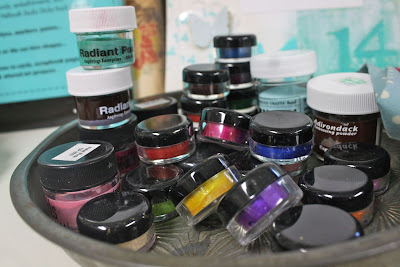 shimmering pearl paints: I love the look of these and need to get artsy with them. 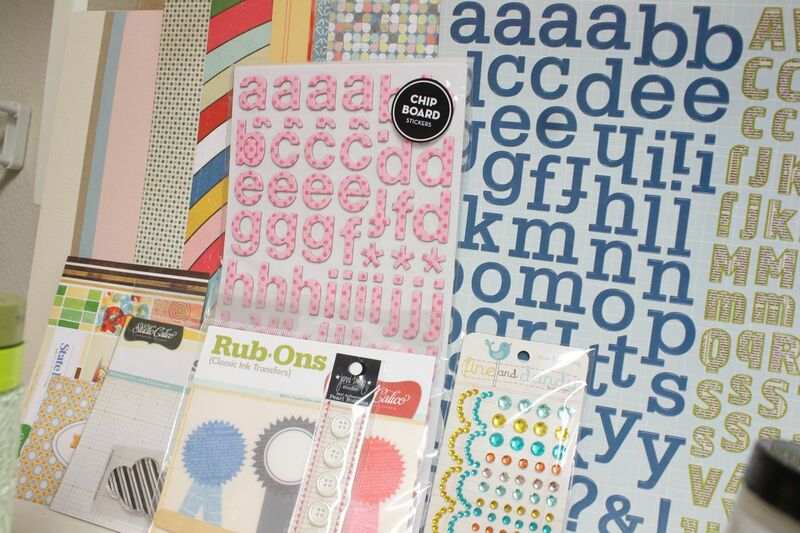 Studio Calico goodies: New papers, stamp, alphabets and more. Looking forward to adding some of these to my Project Life album. 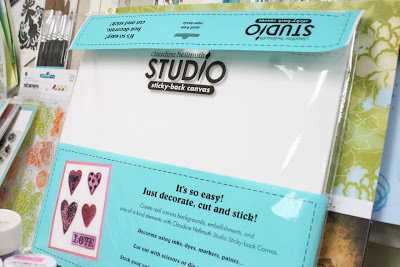 sticky back canvas: Am thinking this stuff could be really fun with die cuts, paints, mists and more. 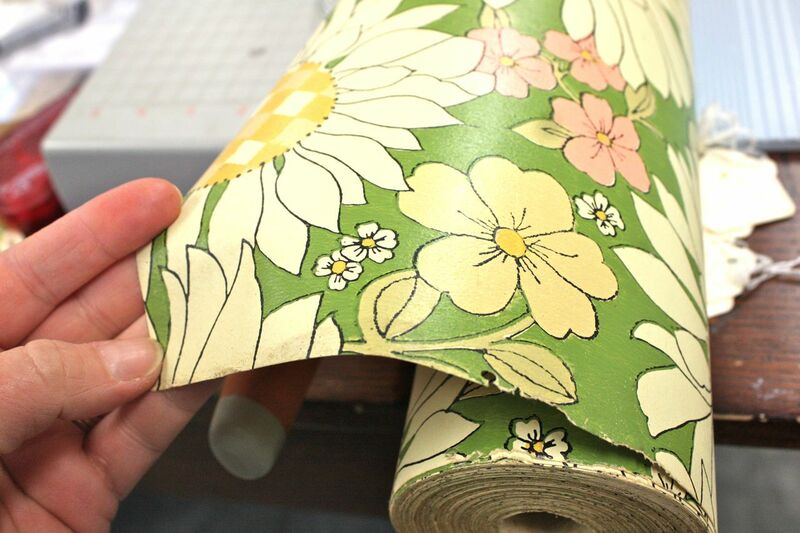 vintage wallpaper: A big, giant roll of this stuff is calling my name. Love the pattern on this roll and the texture of the old paper with the glue on the back. 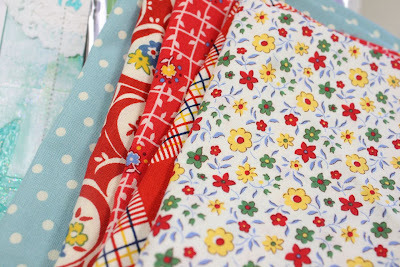 fabrics: A few new fabrics to work with. Mom and I are getting together this week to have some fun. And there ya have it folks. 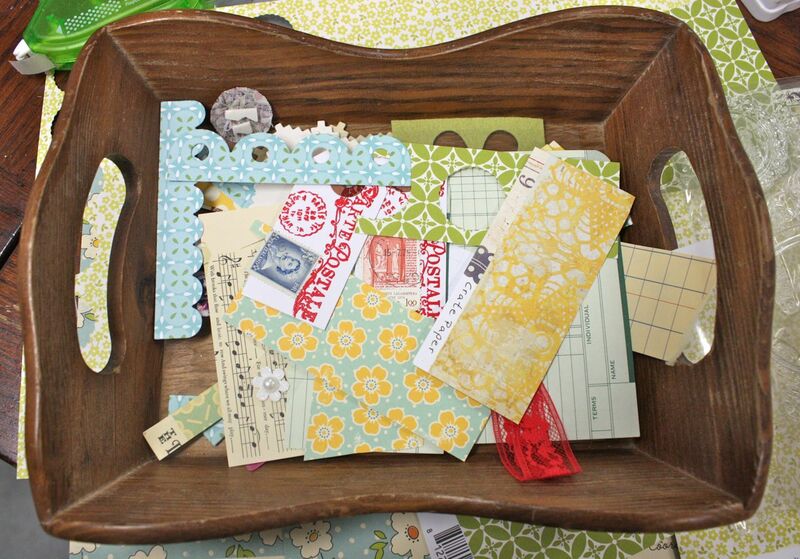 I've already created some fun goodies with the vintage wallpaper. Amazing how you want to play with your goodies when you have them sitting out as visual reminders. What projects are you working on today? 1. Susan, sorry but I don't frequent junk shops in the KC area so I can't help you out. I know there's a multi story antique place that used to be by the farmer's market. TGIF friends! Hope you're gearing up for a great weekend. 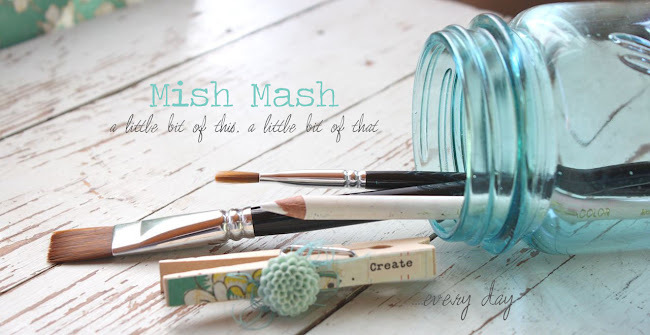 Today I have an idea for you that will help you use up those little left over scraps. I've been keeping this wooden basket on my stamping table where I toss in little left over tid bits. Small pieces of patterned paper, die cut elements, extra tags, ledger paper, sheet music, etc. 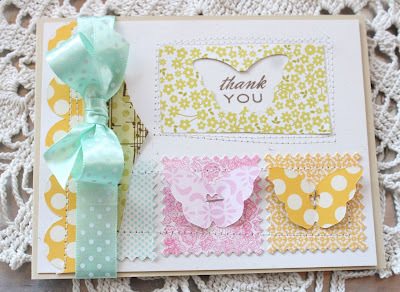 Here I used a negative piece from a die cut for a journaling accent in my Project Life album. I stitched around the piece with my sewing machine and then stamped the coordinating frame image inside. And here I used some colorful patterned paper scraps and die cut borders on a card that came together really quickly. 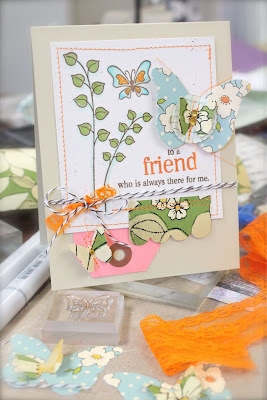 Using the Bitty Background Blocks and the pinked square die from the Button Card Die Collection I stamped and die cut squares using Aqua Mist, Hibiscus Burst and Summer Sun inks. 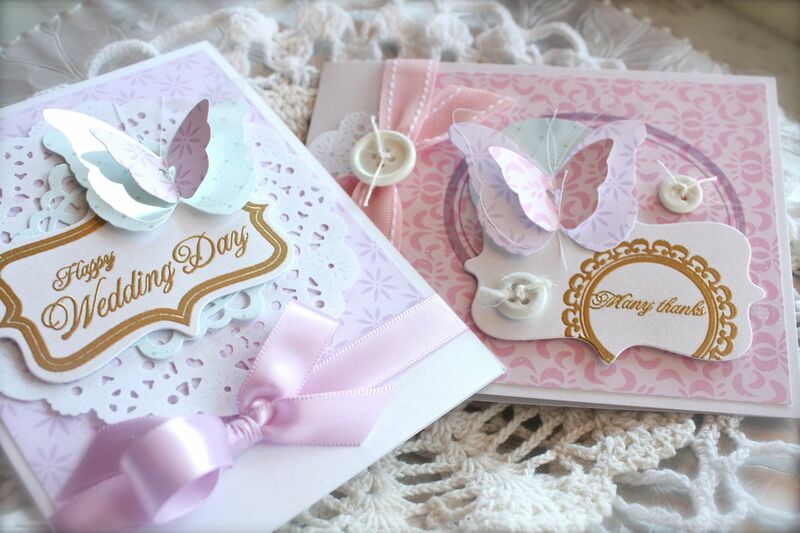 Butterfly die shapes are from the Love Lives Here Die Collection. 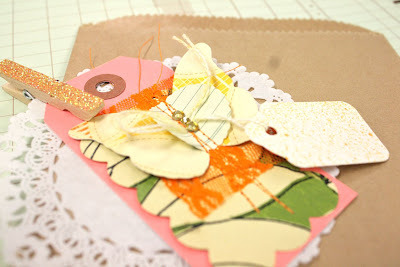 More scrappy pieces were sewn down for the edge of the card. An Aqua Mist ribbon finishes off the card. Now, if you're like my Jordy, you'll be rummaging through the trash can in your craft room....searching for those little tidbits that could be the perfect finishing touch for projects. Hopefully now she can just search through my little scrappy basket. I hope you all have a great weekend with sunshine-y skies and warm temperatures! Hey everyone. Back today with one of my favorite projects from this month's Papertrey release. 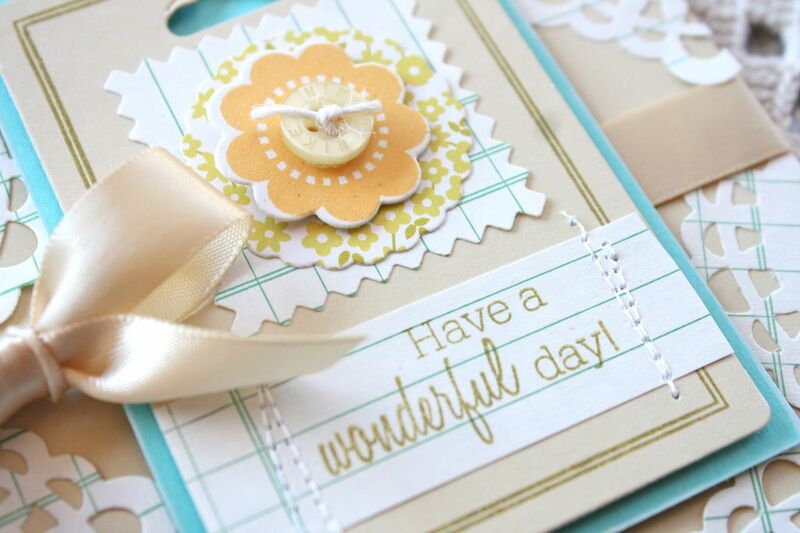 This card features Fillable Frames Additions 1 + Flower Fusion 1 and coordinating flower die. For the focal point, I die cut the label die from the Jillibean patterned paper. I placed some ledger paper under that opening and then stamped the label image. Stamped and die cut flowers rest on top of the label image. A fun little application to try with your dies. Ink colors are Summer Sun and Ripe Avocado. 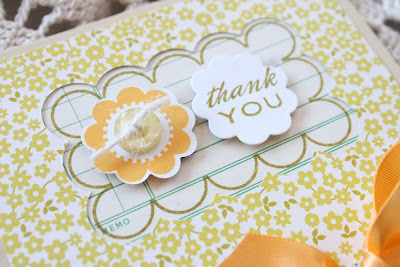 For the Kraft envelope I used one of my Label Wrappers and stamped it with a flower from the Flower Fusion 1 stamp set. Once my card is tucked into the envelope, you simply peel off the backing of the Label Wrap and wrap it around the card. I rounded the corners too. This is the front of my card where I'll write the recipient's address. The Label Wrapper wraps around to the back side of the envelope. Here I've stamped a big sentiment from Think Big Favorites 1. 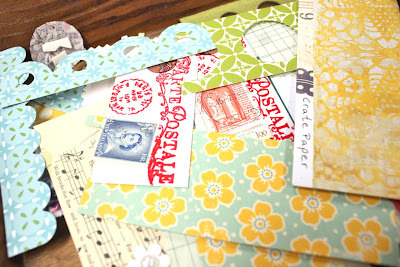 A fun way to dress up envelopes. Hope you're having a great week. The weather has been so nice and sunny....lots of kids sporting shorts today for school. :) Definitely has me thinking of my beloved flip flops.